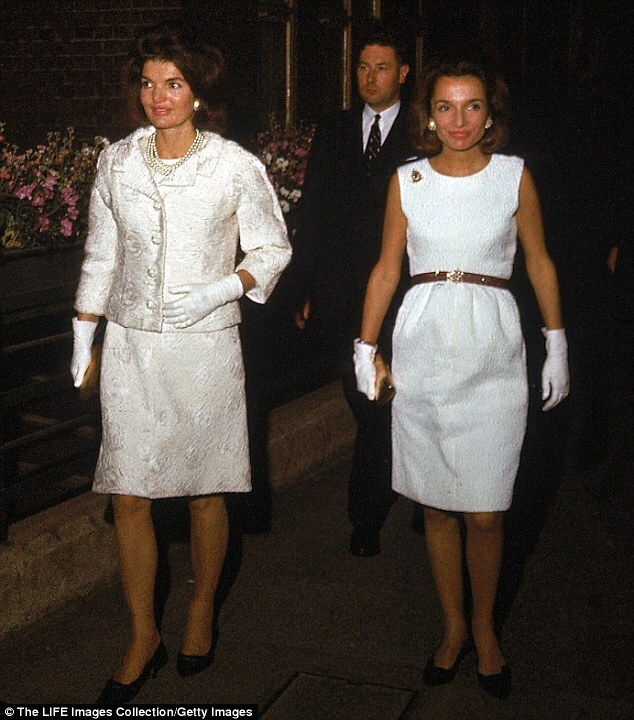 What began as an idyllic childhood on Long Island's East Hampton for two close sisters, evolved into a relationship of rivalry and jealousy between Jackie Kennedy and Caroline 'Lee' Radziwill. One became the most admired woman in America and beloved First Lady while the other was always a sister-in-waiting struggling with her identity in the hopes of finally emerging out of her sister's shadow. Desperate to make a name for herself, Lee, now 85, resented being obscured by her older sister's prominence, becoming a socialite, actress, public relations executive for Georgio Armani, an interior decorator/designer and even obtaining a dubious title of Princess from one of her husbands in a bid to find the spotlight. 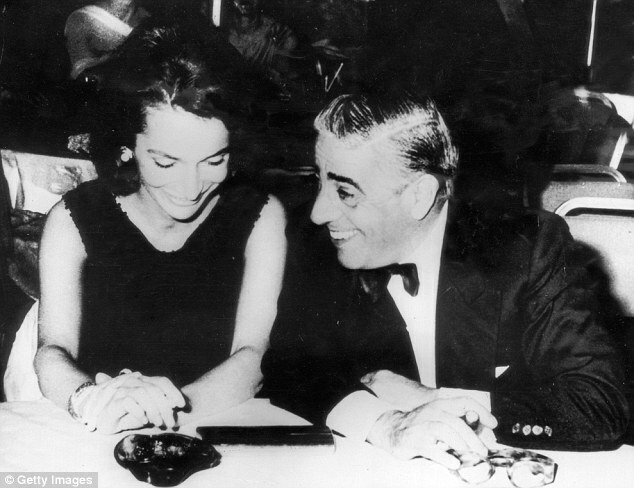 Their complicated relationship played out with Lee having an affair with JFK and Jackie marrying Aristotle Onassis — the man that Lee fell desperately in love with. 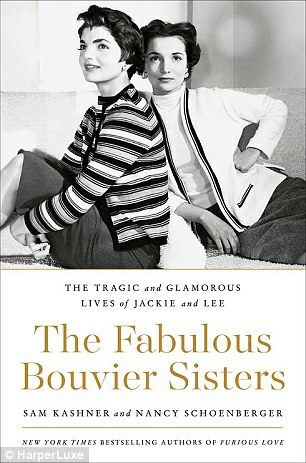 Now, the fierce competition between the sisters is laid bare in the upcoming book, The Fabulous Bouvier Sisters: The Tragic and Glamorous Lives of Jackie and Lee by authors Sam Kashner and Nancy Schoenberger.. According to the authors, Jackie never forgot anything and kept an enemies list in a book with names, confiding in its existence to her close friend and writer, Gore Vidal. Seemingly, Lee was on that list as when Jackie died of non-Hodgkin's lymphoma in May of 1994, she left nothing to Lee, 'not even a memento'. 'Vidal thought she was joking about this enemies list, but thought otherwise after learning about Lee being cut out of the will,' write the authors.In her thirty-eight page will, Jackie's last words to Lee were: 'I have made no provision in this my will for my sister, Lee B. Radziwill, for whom I have great affection, because I have already done so during my lifetime'. What was unwritten, according to Vidal, was that 'Lee had gone to bed with Jack'. Lee's first husband, Michael Canfield, had told Vidal: 'There were times when... I think [Lee] went perhaps too far. Like going to bed with Jack in the room next to mine in the south of France and then... boasting about it'. But Jackie apparently sought her revenge when she stole Aristotle Onassis away from Lee, who was first involved with 'the Golden Greek'. She had fallen in love with the shipping magnate and despite his involvement with opera singer Maria Callas while still married to his first wife, Tina, Lee hoped she would be his next wife. 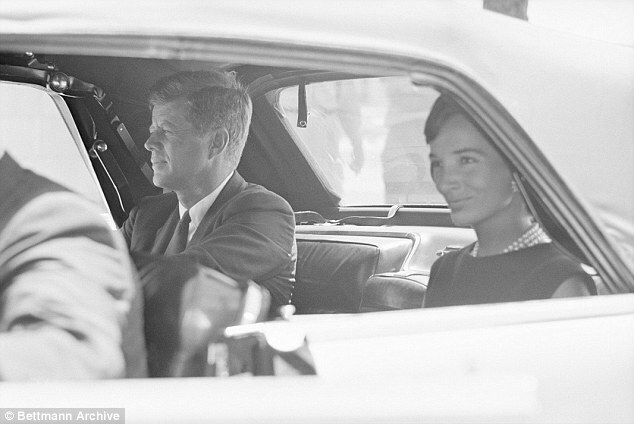 But once again, Jackie eclipsed her – and married Onassis. 'This was a blow from which their relationship would never completely recover, and what made it more painful was that it was Lee, of course, who had brought Jackie and Ari together,' write the authors. Feeling overshadowed by her sister was a pattern that enveloped Lee for years – even after Jackie's death. 'The relationship between the two was extremely close yet threaded with rivalry, jealousy and competition. Yet it was probably the most important relationship of their lives', according to the authors. 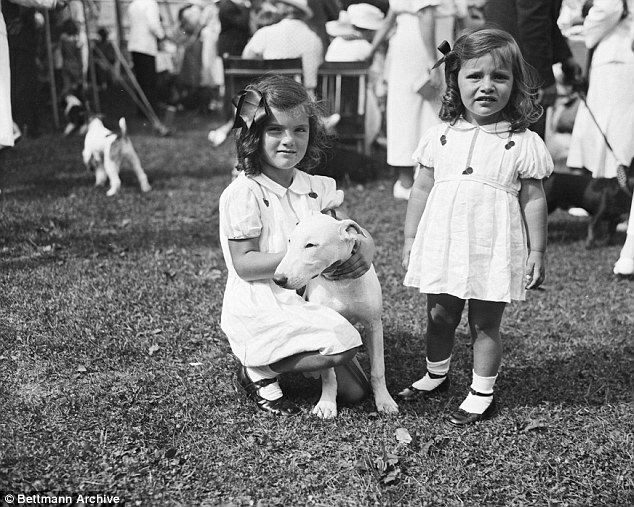 Jacks and Pekes, as the two sisters called each other as young girls, spent summers in East Hampton and winters at their Park Avenue apartment until their parents Janet Lee Bouvier and Jack Vernou Bouvier separated in 1935. 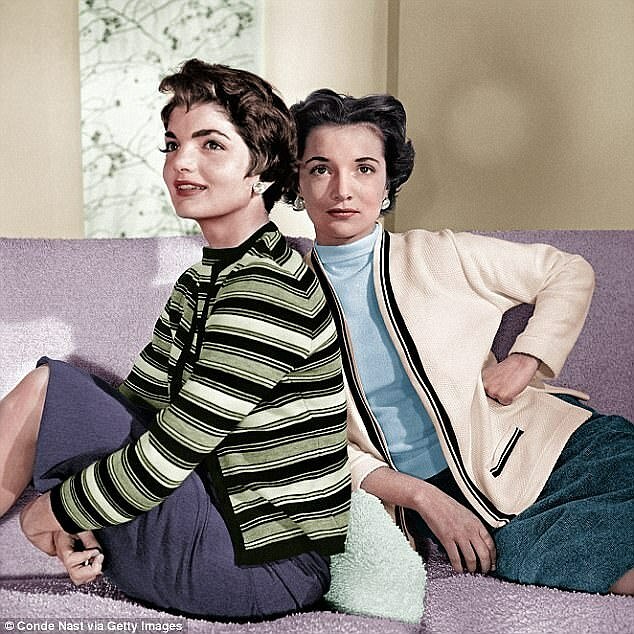 Lee was her mother's favorite and Janet continuously subjected Jackie to constant criticism about her appearance, a displeasure that came from Jackie's growing resemblance to her father. Despite Janet's overbearing nature and continual boasting about her social standing and her family's dubious connection to the legendary general of the Confederate Army, Robert E. Lee, during the American Civil War, the girls looked back on these early years as 'an enchanted childhood'. Their mother remarried wealthy stockbroker and lawyer Hugh Auchincloss, setting the example for her daughters to marry well, bringing them 'up like geishas, to get money out of men', the authors note. 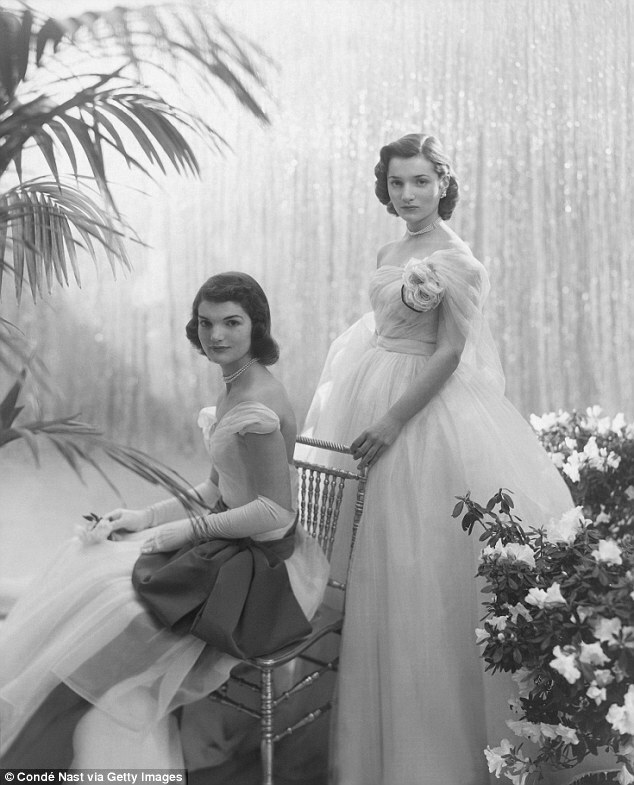 The sisters loved couture and spent a fortune on their wardrobe, and had their step-father pay for their private schooling, which included studies in Europe. Lee went off to Rome and then back to New York before marrying her first husband Michael Canfield, the adopted son of Cass Canfield, publisher of Harper & Row. 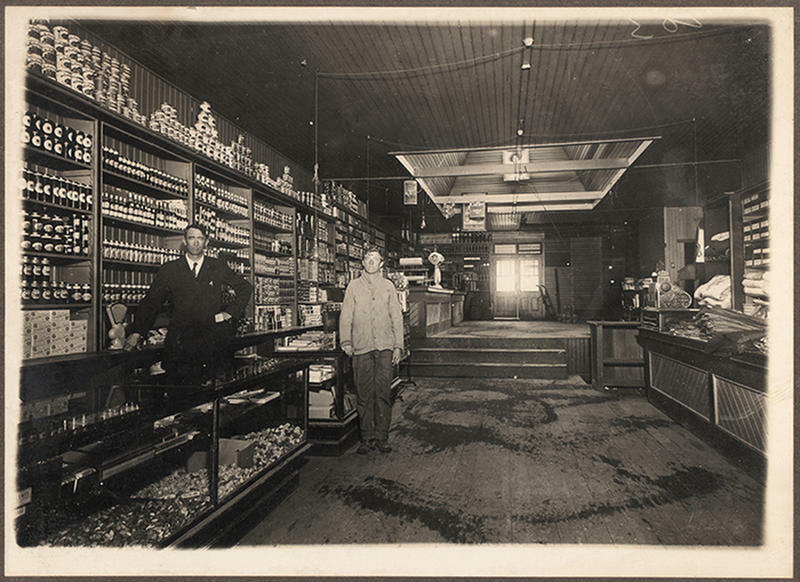 Canfield was a heavy drinker and was sterile, leading Lee to have affairs while she was living in London. She waltzed out of her first marriage and into one with Stas Radziwill, an emigre Polish aristocrat. 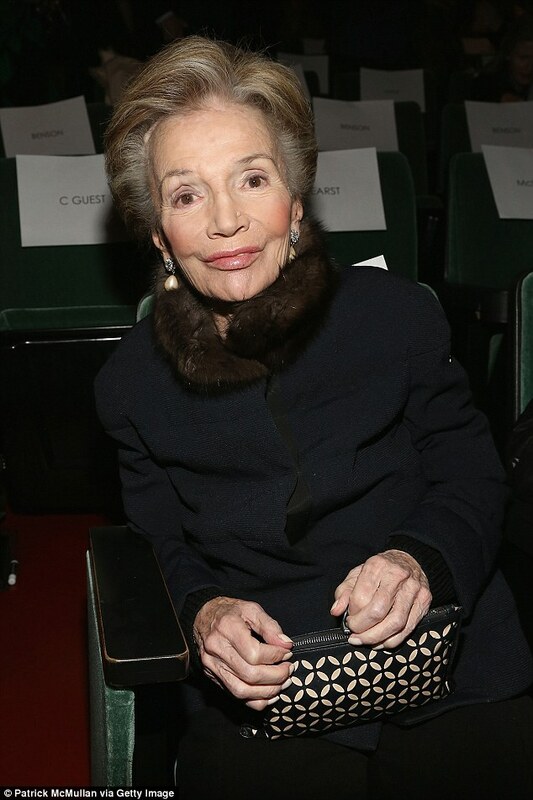 She was his second wife and became Princess Lee Radziwill in 1959, the title of Prince that Radziwill officially had to give up when he became a British citizen. But they both managed to cling to their titles. This marriage helped her become one of the great ladies of the Western World and introduced her into British society. For once, she felt like she had trumped her sister with her new title of Princess. But the marriage didn't last, partly due to Lee's affair with ballet legend Rudolf Nureyev. Lee's next great love was Onassis and when JFK was assassinated, Lee called Onassis and asked him to attend the funeral as well as inviting him to stay at the White House. Jackie escaped to Greece with her sister after the death of her last child, Patrick, born prematurely in 1963, and recovered from her heartache on the Greek isle -- thanks to the warm hospitality of Onassis. Some speculated that Lee hoped this invite would rekindle the Greek's affection for her. 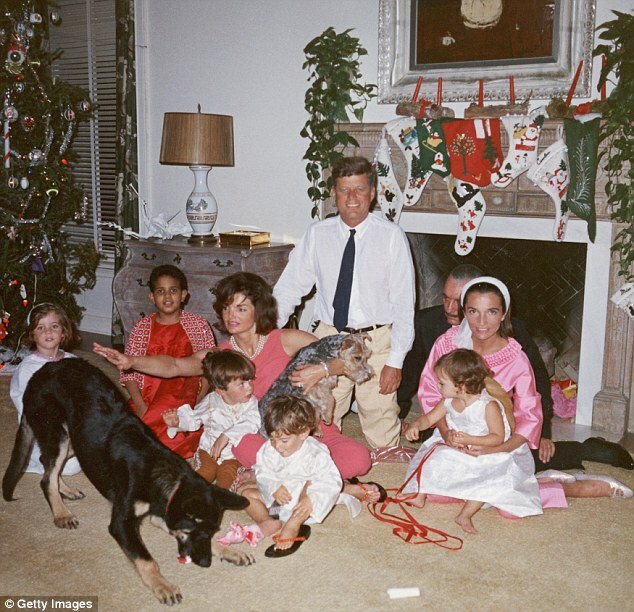 'His presence introduced an element of levity in those somber days and even Jackie was seen walking arm in arm with him down White House corridors', write Kashner and Schoenberger. 'Lee, deeply in love with the Golden Greek, played right into Jackie's hands,' Capote is quoted. 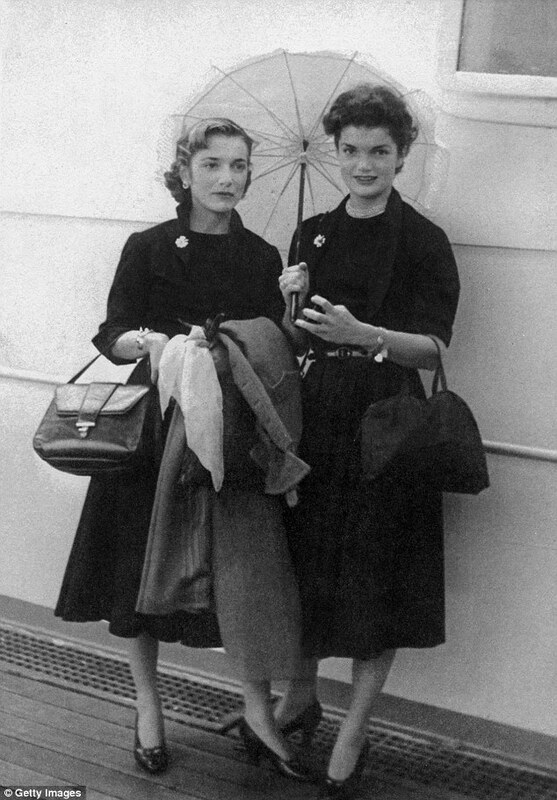 It was during those days after Jack's death that the two sisters became close. They moved into a house together in Georgetown where Jackie admitted to her secretary that, 'At night when I'm alone... I just drown my sorrows in vodka'. Daiquiris became Jackie's drink of choice while working with writer William Manchester on his book The Death of a President. 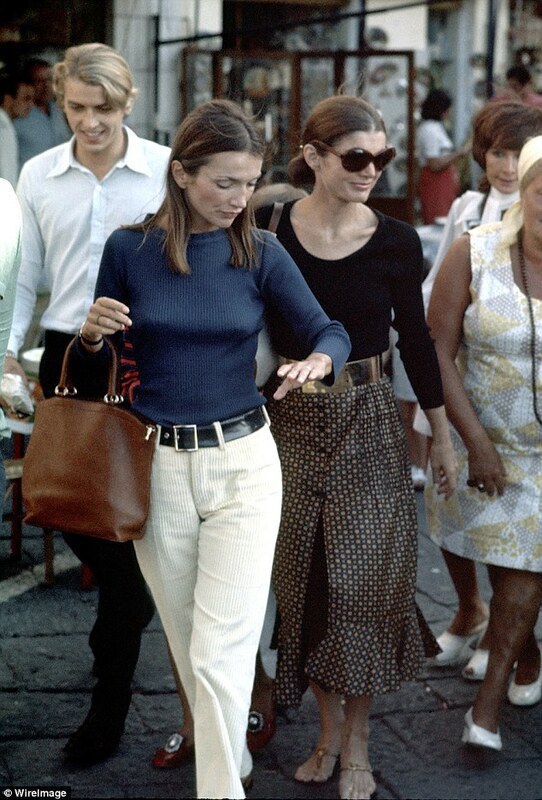 The two sisters romped in Antigua with Jackie's close friend, Bunny Mellon – and with Jackie out of the White House, Lee believed it was her time to shine. While Lee had married a prince with a dubious title and no great fortune, she now wanted to find her own identity and make a name for herself. And she wanted more money. She pursued interior design as well as a theatrical debut and modeling for fashion spreads in Vogue. Lee had a failed third marriage to director/producer Herbert Ross and a battle with alcoholism before she finally found peace within herself and stepped out of Jackie's shadow. 'We'll always be sisters, but we were friends once, too', Lee is quoted by the authors.